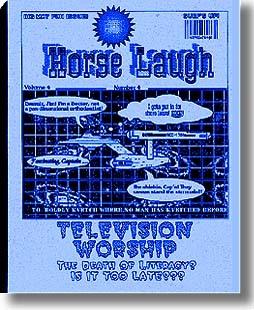 Horse Laugh (1991-1993) was a 'zine I put together from my '70s and '80s clips in the early '90s at Black Mesa, San Ildefonso Pueblo, New Mexico. 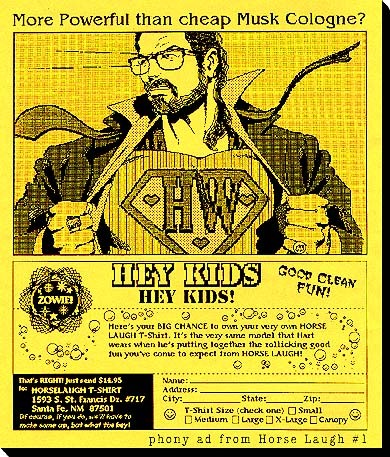 It was done on a MacIntosh, and neatly printed on a xerox machine I had access to through a friendly business. 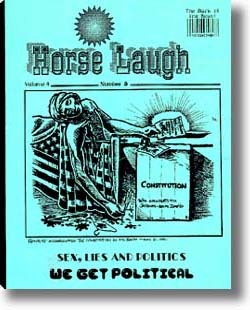 Issues sold for $4.95, and I purchased quite a few meals and cups of coffee at the Aztec Café with the proceeds. 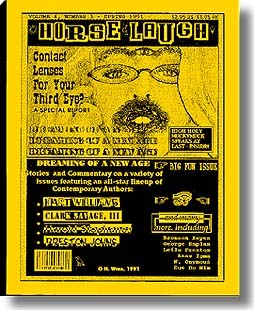 I was sometimes homeless, sometimes not during production, and the fourth issue was produced on my old Packard Bell XT, that I sold to get gas money to escape Santa Fe in 1993. 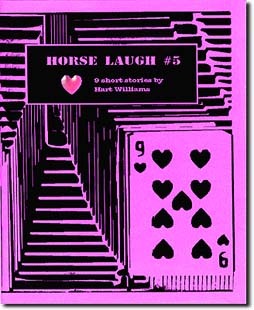 This web page is, in actuality, HORSE LAUGH #6. 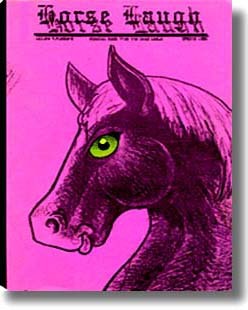 Detail: inside front cover of Horse Laugh issue number 1.